On this Veteran’s Day the Washington Oxi Day Foundation is spreading the word about the incredible sacrifices and brave actions of countless Greek and Greek-American soldiers who fought in WWII and sometimes died defending their countries, the freedom of their fellow citizens and democracy for the world. 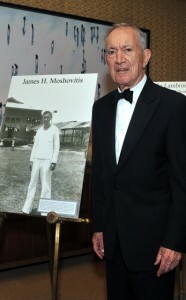 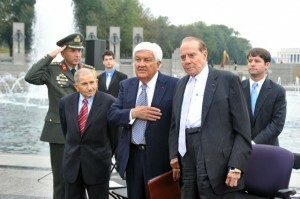 These brave WWII veterans were honored throughout the First Annual Washington Oxi Day Celebration, October 27-28, 2011. 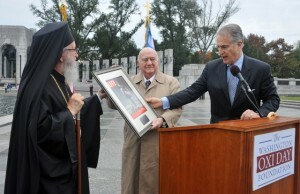 At a ceremony at the National World War II Memorial, the Foundation presented the first annual Greatest Generation Awards to former Senate Majority Leader and nominee for President of the United States, Bob Dole (on behalf of American WWII veterans), Panagiotis Sakellaris (on behalf of Greek WWII veterans), and Andrew A. Athens, (on behalf of Greek-American WWII veterans). Their courage and stalwart defense of freedom and democracy is a testament to their strength of character and is instructive to all free peoples. 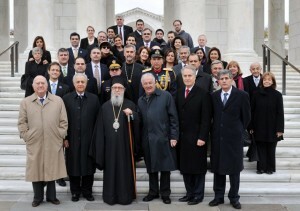 Those in attendance included: Greek Orthodox Archbishop of America, His Eminence Archbishop Demetrios; former Assistant Secretary of the Navy and Mistress of Ceremonies, Barbara Spyridon Pope; former US Ambassador to Belgium Tom Korologos, who introduced Senator Dole; Vice-Chairman of the House Veterans Affairs Committee, Congressman Gus Bilirakis; Greek Defense and Military Attaché Colonel Taxiarchis Sardellis, who introduced Panagiotis Sakellaris; defense attaches representing the countries of Australia, Belgium, Brazil, Canada, Spain, among others; other Greek-American World War II veterans including Jimmy Moshovitis, Steve Yeonas, John Halachis and Dimitri Staikos; former Senator Paul Sarbanes and Congressman John Sarbanes, among others. Read Majority Leader Bob Dole’s story here. 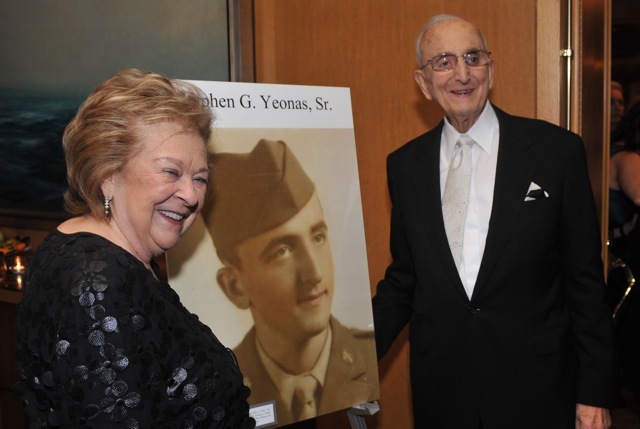 Read Panagiotis Sakellaris’ story here. Read Andy Athens’ story here. 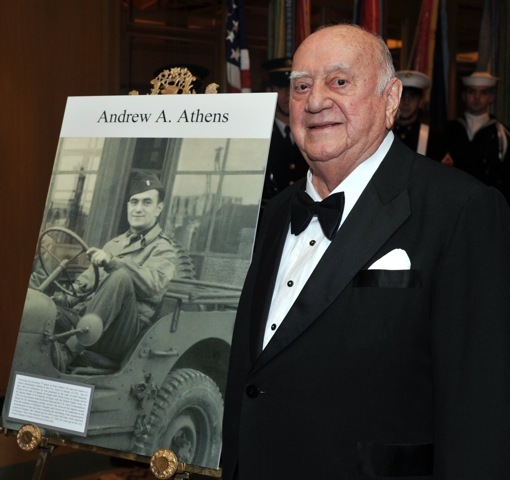 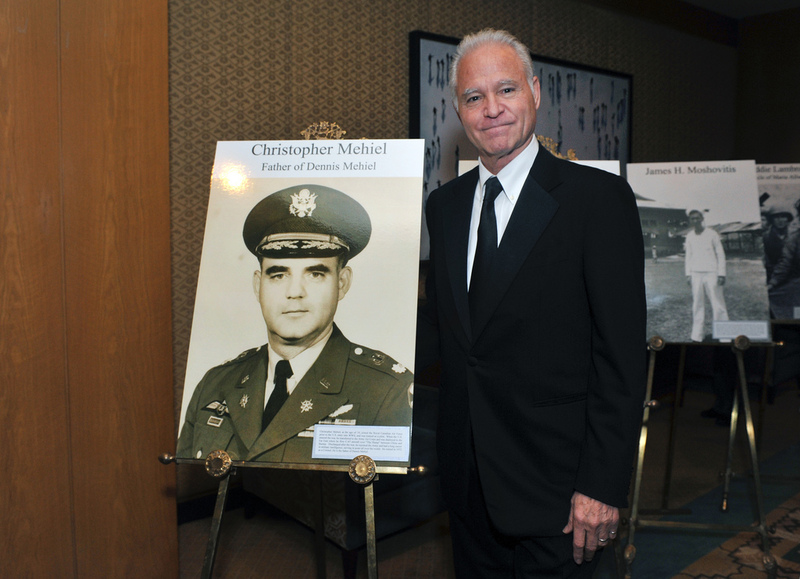 As part of these festivities, the Foundation created a Hall of Heroes — period portraits of veterans who bravely defended democracy during its darkest hour — exhibited during the Foundation’s Black Tie Dinner on October 27th. 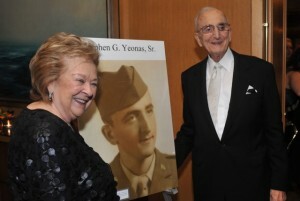 A virtual version of this gallery is now online and available for viewing on the foundation’s website and on Facebook. 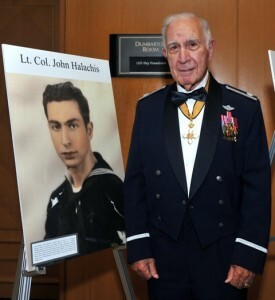 If you or someone you know stood up to fight for freedom and democracy during World War II, send a period photo and a brief description of their service to marissa@oxidayfoundation.org. These photos and descriptions will then be showcased alongside the pictures of those veterans honored during the Foundation‘s Oxi Day ceremonies last month. 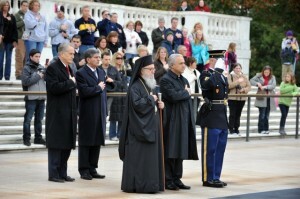 The Annual Washington Celebration also included a wreath laying ceremony at the Tomb of the Unknowns at Arlington National Cemetery on Oxi Day, October 28, to remember those who lost their lives in World War II. The delegation was led by His Eminence Archbishop Demetrios, the Ambassador of Greece to the US, Vassilis Kaskarelis, the Ambassador of Cyprus to the US Pavlos Anastasiades, Washington Oxi Day Foundation President and Founder, Andy Manatos; former Senator Paul Sarbanes; and the heads of many of the top national Greek-American organizations including: the Order of St. Andrew, Leadership 100, AHEPA, AHI, SAE, the Pancretan, Pan-Macedonian, Pancyprian, Cyprus, Pan-Epirotic and Pan-Icarian Associations and Federations of America, PSEKA, American Hellenic Council of California, National Hellenic Society, Next Generation Initiative, Hellenic-American National Council, and Hellenic American Women’s Council. 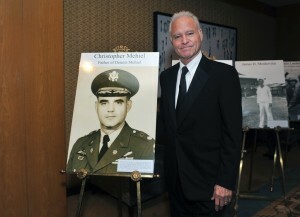 For more about the ceremonies, key participants, speakers and honorees, visit us online.